Disclosure: I received free products for sharing the information in this post. Affiliate links are included. I LOVE trying organic beauty products. 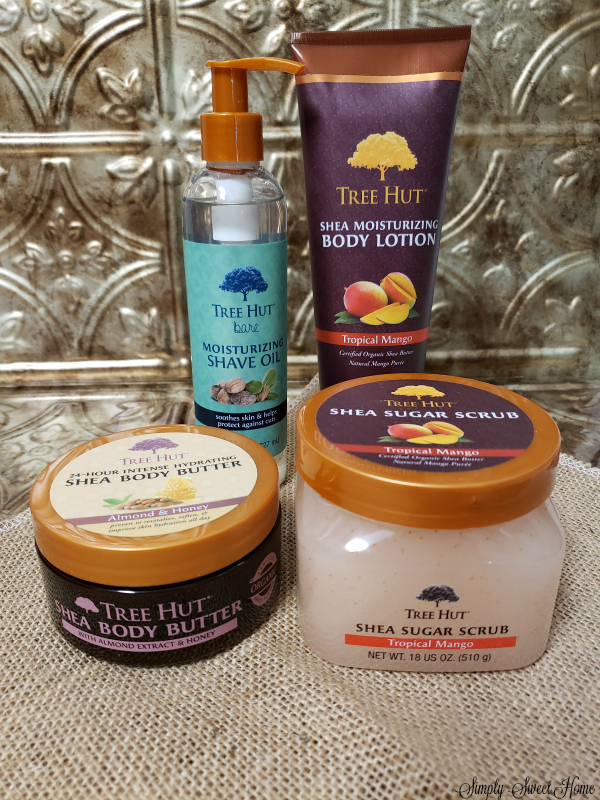 I recently sampled some products from Tree Hut, and they are amazing. First off, they smell good enough to eat! And secondly they have a great variety of products from sugar scrubs to lotions and body butters. And they have many amazing scents and formulas to fit your unique tastes. They also have high quality products at an affordable price! I received the above products, and I’m looking forward to trying other scents like their Coconut Lime. They also have products containing charcoal and hymalayan salt, which I’d love to try! Be sure to check your local Walmart or Amazon for their products. Giveaway! 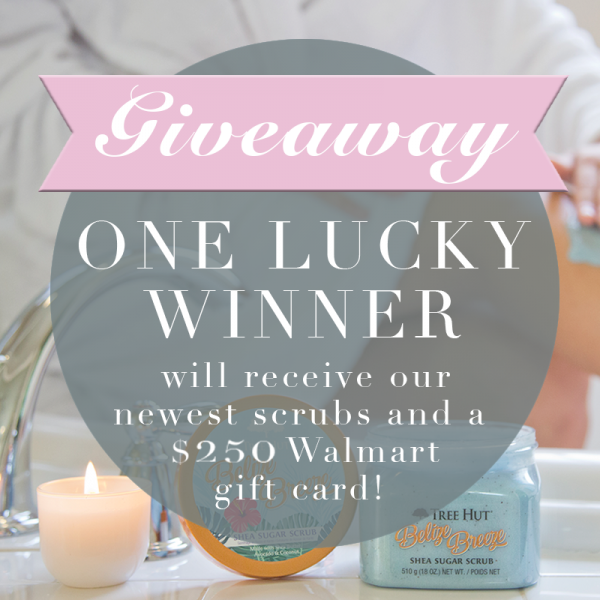 Want to win a $250 Walmart Card plus Tree Hut Sugar Scrubs? It’s easy! Just Follow TREEHUT on Instagram. Then click the link in their profile. It will take you to a place where you can enter your email, and you’ll be entered. Very Simple! The giveaway is open through December 28.